Fibonacci ratios have many uses for a forex trader, particularly if your strategy is weighted towards technical (as opposed to fundamental) analysis. In this series, we shall be explaining what these ratios are, and how to use them to improve your analysis – and ultimately your trading performance. While there are many esoteric uses for Fibonacci ratios in forex trading, we shall be concentrating on the two most widely-used Fibonacci-based tools: extensions, and retracements. So, the third number in the sequence is calculated by adding the first two (0+1) to give an answer of 1. Then, the fourth number is calculated by adding the second and third numbers (1+1) to give an answer of 2, and the fifth is the sum of the third and fourth numbers (2+1), giving an answer of 3. This sequence can be carried on infinitely, with the pace of growth increasing with every new step in the sequence. Although this sequence actually dates back to Indian mathematicians in the 6th century, it was Fibonacci’s groundbreaking work Liber Abaci that introduced it to the West. However, it was what he did with this sequence of numbers that was so startling. Figure 1: An approximation of the golden spiral created by drawing circular arcs connecting the opposite corners of squares in the Fibonacci tiling; this one uses squares of sizes 1, 1, 2, 3, 5, 8, 13, 21, and 34. 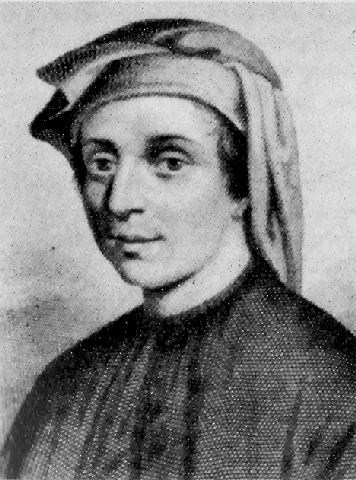 In this book, Fibonacci used the sequence to describe the population growth of rabbits in idealised circumstances. As it turned out, the sequence had a startling number of parallels with the way things worked in nature, such as the arrangement of branches along the stems of plants, the spirals in seashells, flowers, and cloud formations (see figure 1), and the veins in leaves. 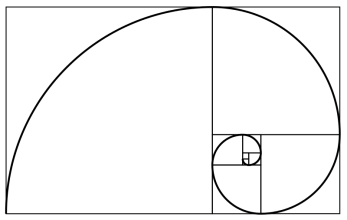 Although he didn’t mention it in Liber Abaci, it also has a relationship to the ‘Golden Ratio’, an important formula in mathematics and the basis of a long-held ideal of aesthetic perfection in the arts, including architecture, visual art, and music. Perhaps the most interesting thing that Fibonacci discovered about this sequence is that, after the first few numbers in the sequence, the ratio of any number to the succeeding higher number is 0.618. For example, 55 divided by 89 equals 0.618, and so does 34 divided by 55. 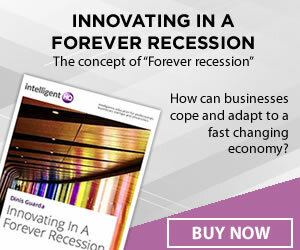 Fibonacci retracement levels are used by traders as potential support and resistance areas. Although there is some mathematical basis for using these numbers, the main reason that they are useful is because they have become a self-fullfilling prophecy, because so many traders use them to determine support and resistance levels, on which their trade orders are often based. Fibonacci extension levels are widely used as profit taking levels, and because of the self-fulfilling nature of these levels due to their widespread use, this tool tends to work on a surprisingly consistent basis. Fibonacci retracement and extension level tools are common features in most charting packages, but in order to apply them to your charts, you need to identify Swing High and Swing Low points (see figure 2, right). 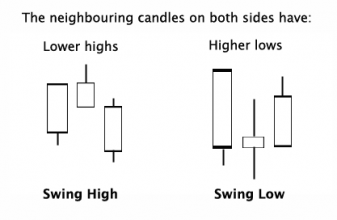 A Swing High is a candlestick with at least two lower highs on both the left and right of itself, while a Swing Low is a candlestick with at least two higher lows on both the left and right of itself. In the next installment, we shall be taking a closer look at Fibonacci retracement levels, and how they can be used in your trading. See you then!